From start to finish this is a very well organized professional business. The owner, Melinda, and her assistant, Sherry, were both professional and knowledgeable about their service. The quote they gave me for my tile patio, tile sidewalk, and the aggregate driveway was reasonable. Omar, the wonderful man who came to do the work, was kind, professional, asked questions before doing the work if he felt something special should be done to make the project look better than 100%. 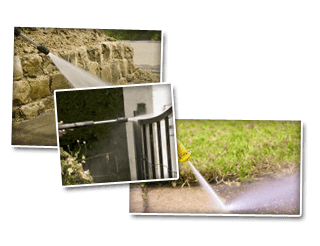 I would not hesitate to recommend this company for power washing or window cleaning. They are who I will call again for any future work. I cannot recommend Cavalier Window Cleaning strongly enough. I’ve been having gutters cleaned for 7 years, never being satisfied enough to call the previous ones back. This time I want to advertise them. From start to finish, CWC has been exceptional. Instead of an over the phone blanket estimate, they came to the houses and they measured each house and allotted the cost according to the gutters of each. We are four connected townhomes and we always got the estimate for the whole job, though two of the houses have more gutters. This time they got to pay more. We got a written estimate on the spot. The price can’t be beaten. They do have a $200 minimum, but if you collaborate, it works out great. The business owner was perfectly fine with sending invoices to the rental companies handling two of the homes, the other two paid directly. They are fully insured and come with a truck with a tank and power washer. They spent enough time to clear out each and every gutter. They took pictures to show the gutter that was missing its screen. They cleaned the decks and sidewalks from any debris and even did a quick wash of the windows and siding, as some leaves had poured out on to them. The two members of the crew were professional, eager, and very helpful. They would not even accept a tip. When I asked them to come a little later than arranged because I was concerned about ice on the roof, the owner quickly reassigned them and sent them around noon. Oh, and the business is owned and run by women! Look no further! Cavalier Window Cleaning did an excellent job on the windows and outside lighting for our older and rather complicated house. We have a B&B and the entire process was conducted with the ongoing business in mind, and with exemplary attention to detail. The technicians are obviously well trained and handled all aspects of the job professionally and completed each task thoroughly. We will recommend this company to anyone needing top quality help for their windows. This was our very first power washing and window cleaning experience and we are so thankful it was with Cavalier Window Cleaning! Thanks to Melinda, Laurie, and staff for immediate scheduling, professional and precise communication, and amazing work. My husband and I could not believe how clean our siding and windows could be! The crew left our home spotless and locked up just as we requested. We can’t thank you enough for helping make our home look so beautiful! From the moment Melinda stepped into our home and began sharing her information, I was sold. I had read many glowing reviews of the work done by her team on homes of all types and sizes, so I was pretty well decided Cavalier was the one. The team did a wonderful job with our home. They worked clean, were friendly and cheerful, but stayed focused on the job throughout the several hours they were on our property. We were very impressed with their professionalism and skill. Except for the sparkle of the windows, there was no clue afterward that anyone had been working as hard as they did. It seemed effortless, but the results were outstanding! I would recommend Cavalier Windows to anyone. We need power washing, too, and you can guess who will get that call when we are ready. Crew did an excellent job, following all my instructions and replacing the furniture they had to move exactly as it had been placed before. After seeing how the windows, lights and chandelier look after your professional cleaning, I’ll never do them myself again. Thanks so much. Lisbeth S. Ivy, VA Just wanted to thank you for your services today. We are very pleased with the work that the guys did. Excellent job!! Like seriously no joke, Cavalier is the best window cleaning company that I have ever had clean our windows!! Your workers are professional, friendly and work hard. Also, thank you for the “Thank You” card, that was a pleasant surprise! Rick and I appreciate everything that you did for us today J Enjoy your day!! Thank you for the clean windows. I cannot remember the last time (if ever) they were so clean. What a great surprise to come home to on Friday! I guess my sentiments are best expressed by the song my band and I sang so beautifully and movingly at our Staff No-Talent Show “I can See Clearly Now”. Seriously, it really meant a lot to me that you would do that. Companies that go out of their way to make the customer happy are way too rare. Anything I can ever do to help out you guys, just let me know! If you are looking for Testimonials of a window cleaning Company then please call 434-823-1737 or 540-910-1434 or complete our online request form.